To help provide incentives for homeowners to make energy-efficiency home improvements, the federal government offers tax credits as a way to offset the costs of these repairs/changes. This is not cash in your hand (like a rebate which gives you cash back after you’ve made a purchase), but rather a deduction you can make on your annual tax return that can, depending on your other deductions, reduce the federal taxes you pay as a homeowner. Please Note: Tax credits for home improvements might change. In other words, a tax credit that exists today for, say, replacing your attic insulation, might not exist next year or, if it does exist, might not be for the same dollar amount. Check Energy.gov to see what tax credits can be claimed in your state: http://energy.gov/savings. It is recommended that you consult your tax advisor about your individual tax situation. This guide is meant to provide general information only. Is there a tax credit for roofs? Yes! If you are replacing or adding a new roof to your home, you could qualify for an energy-efficient home improvement tax credit for as much as 10 percent of the cost (not counting installation costs). Here’s how to add your roof tax deduction to your tax return and the requirements to receive a roof tax credit. When you submit your 2016 tax return, file Form 5695 (Residential Energy Credits) here. You can deduct up to 10 percent of the cost (not including installation costs), up to $500. Is a roof replacement tax deductible? Yes, see above for details on how to claim this tax credit. Is a new roof a tax deduction? Not for a brand new home, but a replacement roof or roof repairs would qualify on your primary residence. Search for ENERGY STAR-certified roof products here. Are roof repairs tax deductible? Usually not. The federal government typically considers repairs as current expenses, i.e those necessary to maintain a property. Replacing a roof, in contrast, is considered a capital improvement and therefore is tax deductible. Is a metal roof tax deductible? Yes, in certain circumstances. The product must be ENERGY STAR certified. You can learn more here. Tax credit is generally for up to 10 percent of cost (not counting installation, and with a $500 lifetime limit). Is an asphalt roof tax deductible? Yes. The tax credit is for up to 10 percent of cost (not counting installation) with a lifetime limit of $500. Find out more here. Are roof coatings tax deductible? No. Are new roof shingles tax deductible? If you are replacing your roof, the cost of materials is tax deductible to the amount allowed by law. (See above.) If you are simply replacing or repairing certain shingles, that is not tax-deductible. How much can I claim for a new solar panels on my tax return? No, solar energy products are not currently eligible to earn the ENERGY STAR label, because they do not yet meet the criteria in the ENERGY STAR guiding principles. As solar panels increase in popularity that could change. Am I eligible for a solar hot water heater tax deduction? The heater must be installed in your primary residence (you live here full-time). How much can I claim on my tax return for a new solar hot water heater? You could be eligible for an energy-efficient home improvement tax credit on as much as 30 percent of the cost, including installation, with no upper limit. Am I eligible for a windows, doors and/or skylights tax deduction? You could be eligible for an energy-efficient home improvement tax credit of up to 10 percent of the cost (not including installation). There is a $200 cap on windows and skylights and a $500 cap on doors. The cumulative maximum tax credits for windows, doors, and skylights for all years combined is $500. Do I have to replace all the windows, doors or skylights to qualify for the tax credit? No. You can do this work piecemeal and still qualify as long as they are ENERGY STAR certified. If you want to learn more about insulating your home, check out our Home Energy Savings series on attic insulation. Products that reduce air leaks can also qualify if they follow certain criteria. Am I eligible for an insulation tax deduction? The credit can apply to replacing or improving insulation but its primary purpose must be to insulate. How much can I claim for an insulation my tax return? Biomass stoves burn plant-derived fuel, such as wood and wood waste like wood pellets as well as grasses. Am I eligible for an biomass stove tax deduction? The stoves must be used for heat or water heating and have a thermal efficiency rating of at least 75 percent as measured using a lower heating value. How much can I claim for a biomass stove my tax return? What should a retailer provide me when I buy a biomass stove to get the tax credit? Retailers should give you the Manufacturer’s Certification Statement for the model you purchase. This statement is signed and from the manufacturer certifying that the stove qualifies for the tax credit. Manufacturers often have these on their websites if you did not get one when you bought the stove. Be sure it matches your model number. Replacing antiquated central or air conditioners or adding central air conditioners could qualify you for a federal tax credit. Find out more here. Am I eligible for a central air conditioner tax deduction? You can be eligible for a $300 home improvement tax credit if you replace or install central air conditioning. 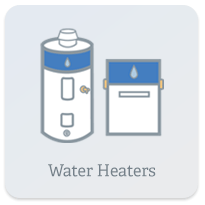 Unlike their solar counterparts, non-solar water heaters operate on gas, propane or electricity. Here’s what you need to know to see if your water heater qualifies for a federal tax credit. Am I eligible for a non-solar water heater tax deduction? You may be eligible for a $300 home improvement tax credit if you replace your non-solar water heater with a more energy-efficient model. That amount of the potential tax credit depends on the type of water heater. Gas, oil or propane hot water heaters must have an energy factor of at least .82 or thermal efficiency of at least 90 percent. Am I eligible for a geothermal heat pump tax deduction? It can be used for a new home. Second homes and existing homes are eligible. Installing a geothermal heat pump in your home could entitle you to a federal tax credit of up to 30 percent of the cost, including installation, with no upper limit. Is there a tax credit for water-to-water geothermal heat pumps? Yes, water-to-water geothermal heat pumps can qualify for the tax credit. The geothermal heat pump tax credit is for 30 percent of the cost of the product (plus installation costs) with no upper limit. 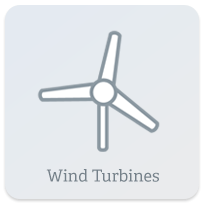 Am I eligible for a small wind turbines tax deduction? Second homes and existing homes are eligible; rentals are not. How much can I claim for a small wind turbines on my tax return? You can qualify for 30 percent of the cost (including installation). Can the small wind turbine energy tax credit be carried over to future years? Tax credits for only five products are currently allowed to be carried forward. The others that are eligible, besides small wind turbines, are solar panels, solar water heaters, geothermal heat pumps, and fuel cells. The IRS has not stated, however, how long these credits can be carried forward. What are rebates for energy efficient appliances? Like federal tax credits, rebates are incentives for consumers — this time from manufacturers and/or power companies rather than the federal government — to help give them incentives to upgrade antiquated and likely less energy efficient appliances with newer models that operate more efficiently. Unlike tax credits, rebates are actual cash — eventually. Yes, some paperwork is required. You generally need to show proof of purchase and model numbers (depending on the type of rebate), but then if all matches up, a check will be mailed to your home from either the participating manufacturer or energy company. Fairly simple, right? And likely worth the effort. How do I find out which energy efficient appliance rebates are available? While there are a multitude of ways you can discover rebates, the easiest way is to visit ENERGY STAR®’s rebate center and type in your ZIP code. This government agency keeps track of rebates for energy-efficient appliances from a variety of resources, making it your one-stop appliance rebate shop. Typing in 06019, for instance, yielded 23 rebate opportunities, ranging from a $750 rebate for replacing a boiler to $250 for an air-source heat pump from Eversource, a utility in Connecticut. The rebates change regularly so it’s worth checking the site regularly to see if something has cropped up for an appliance you’re in the market to replace. It’s worth noting that in some instances an energy-efficient appliance might qualify for both a rebate and a tax credit. Now that could be a win-win for you and the environment! We hope this has helped you figure out how to finance some of your home energy improvements. 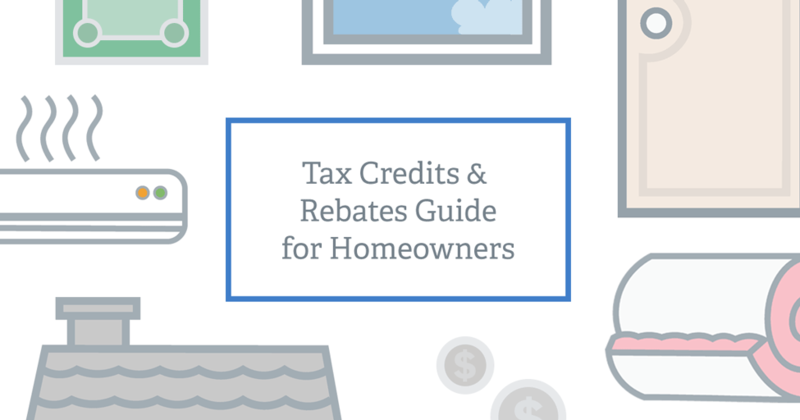 Is there a rebate or tax credit you’ve found? Share in the comments and help us all keep track! Hi John, since every situation is different, we suggest calling or visiting a tax services company near you. You will then be able to determine if your new windows qualify for a tax credit in your state. Congrats on the new energy-efficient refrigerator! If you visit energystar.gov/rebate-finder, you can enter your zip code to find if you are eligible for a rebate in your area and fill out the form. We live in a home built in 1929 with addition made in the 90’s. The windows that are original to the home are double paned. We had them restored and reglazed and they are much more efficient now then the windows installed in the 90’s which are certified energy efficient. It was just as expensive to restore the old windows than to purchase new ones but we felt that once restored they would be nicer than any new window that we could purchase. They are now extremely energy efficient! Can we claim credits for the costs of restoring these windows and making them energy efficient? Hi, Kathy: Great question! Congratulations on restoring your home while keeping some of the old features intact! Restoration credit might be a little trickier to come by than credits for newly installed windows, but EnergyStar has some information on its website, as does the IRS. However, since your question is more specific and nuanced, my suggestion would be to call the IRS directly at 1-800-TAX-FORM (800-829-3676) for more information. Good luck!